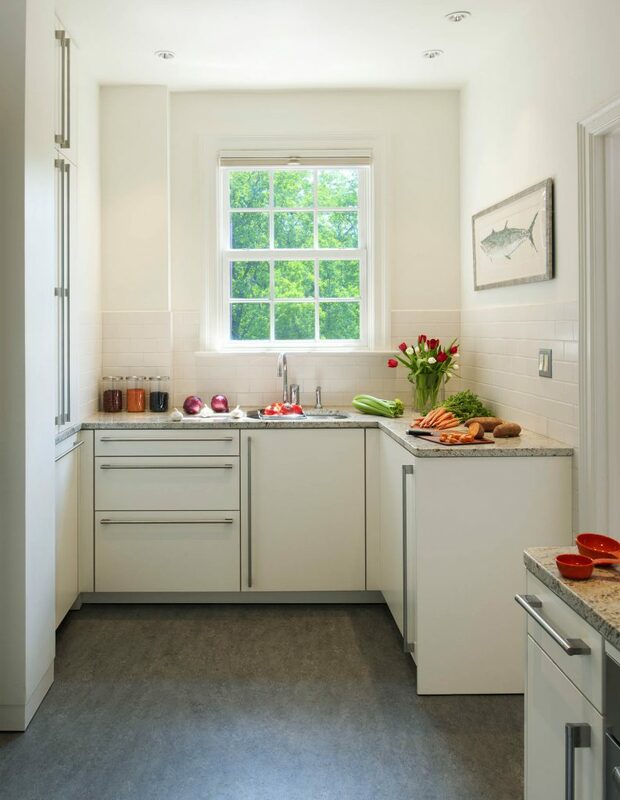 Awash in neutral tones, this contemporary kitchen serves up simplicity in a Philadelphia couple’s secondary residence in DC. 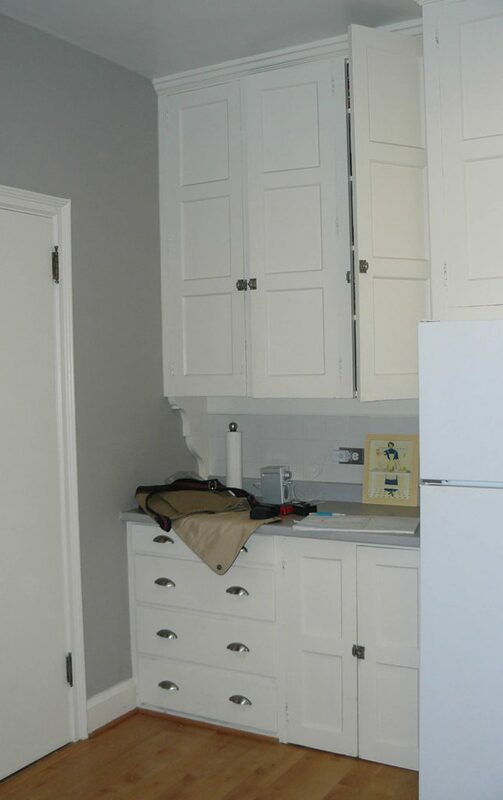 Matte white base cabinets—topped with speckled gray granite and a white ceramic tile backsplash—create a L-shaped prep center. 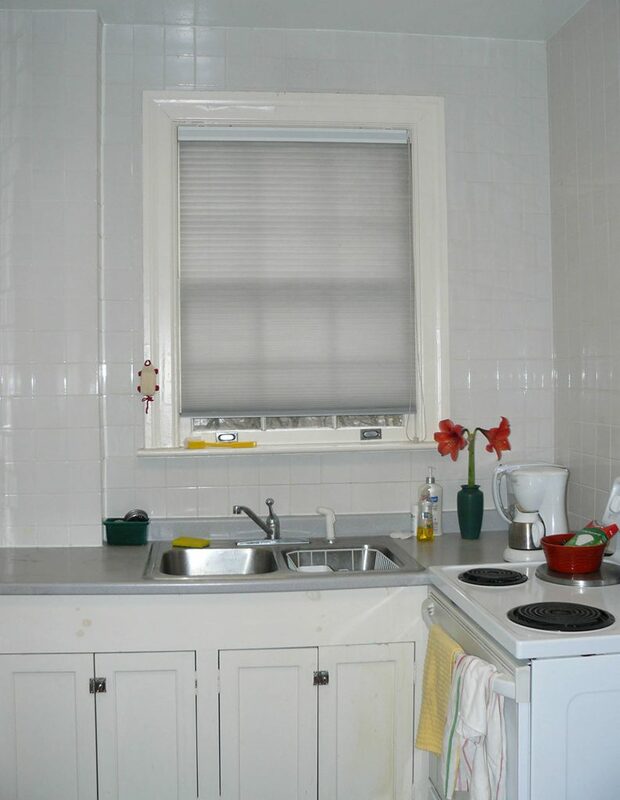 Without wall cabinets to distract, the central window floats freely above the sink, while dappled gray resilient linoleum covers the floor. A floor-to-ceiling storage wall balances against the open prep center. 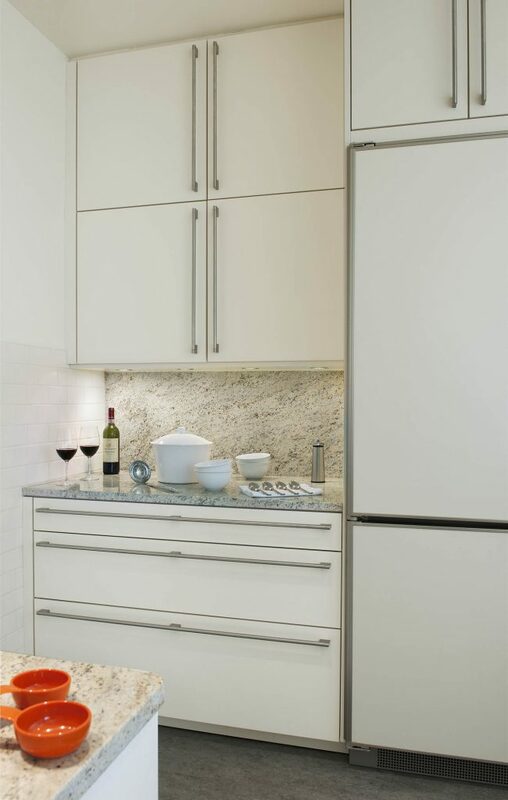 A built-in refrigerator integrates seamlessly into surrounding cabinetry, which keeps dishes, long-term serving pieces, as well as a microwave and other small appliances all in their proper place. 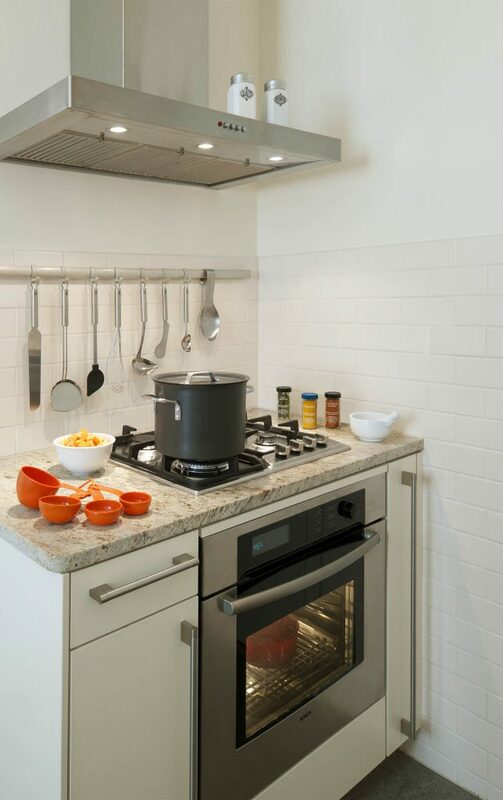 An efficient cooking corner contains a 24-inch cooktop, gas wall oven, and stainless exhaust fan. Utensils hang at the ready while cabinets on both ends maximize storage for cutting boards and other culinary essentials.